ianetics is now 25 years of age. Through the years it has been attacked, venerated, questioned and praised. The adjectives used to describe it are legion. But the enduring factor is that it has pro- vided a technology whereby millions of people have come to understand themselves and their fellows and live happily with each other in peace. I have never claimed Dianetics to be the perfect system, but it is certainly a workable one. When Dianetics was first published in 1950 it burst upon America and the world with a success I never dreamed possible. 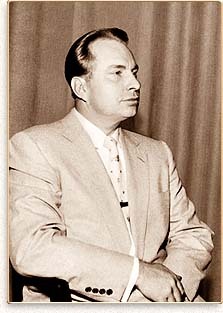 The concepts of Dianetics were so revolutionary it took the public by a storm. My research had uncovered truths both unexpected and hidden. I was excited and amazed, but the public reaction is what overwhelmed me most. Overnight my life had changed. I don’t think I will ever regret making my discoveries public. My sole purpose was to serve and give man the knowledge I had. That this was to catapult me into the public arena, into a battle with those vested interests seeking to keep man ignorant, never occurred to me. I was called names, harassed as a private individual as well as a public figure. But I was never let down in my belief that man was basically good. In those dark years my many friends stood by me and the wide public support I was given was unforgettable. I could never have succeeded without them. It was worth every hardship to see sense and reason conquer ignorance and prejudice.